Petey Griffin: The eagle, the lion, the statue? Over the past several years, students have been witness to a growing list of policy changes and renovations meant to boost student morale and reflect the strong nature of tradition and pride in the Canisius Jesuit spirit. The image of St. Peter Canisius, standing tall in the center of the Bart-Mitchell Quad, accompanied by St. Isaac Jogues, S.J. are permanent staples of the campus, reflecting the sincerity of its roots. While these icons remain relevant to the College’s mission, Canisius’ mascot Petey Griffin is a stronger moral boosting image. Usually outside of a school’s athletic facilities, there’s a mascot statue; placed there to pump up the students with pride in their school. Just look at University of Georgia’s bulldog, or the University of Maryland’s terrapin. 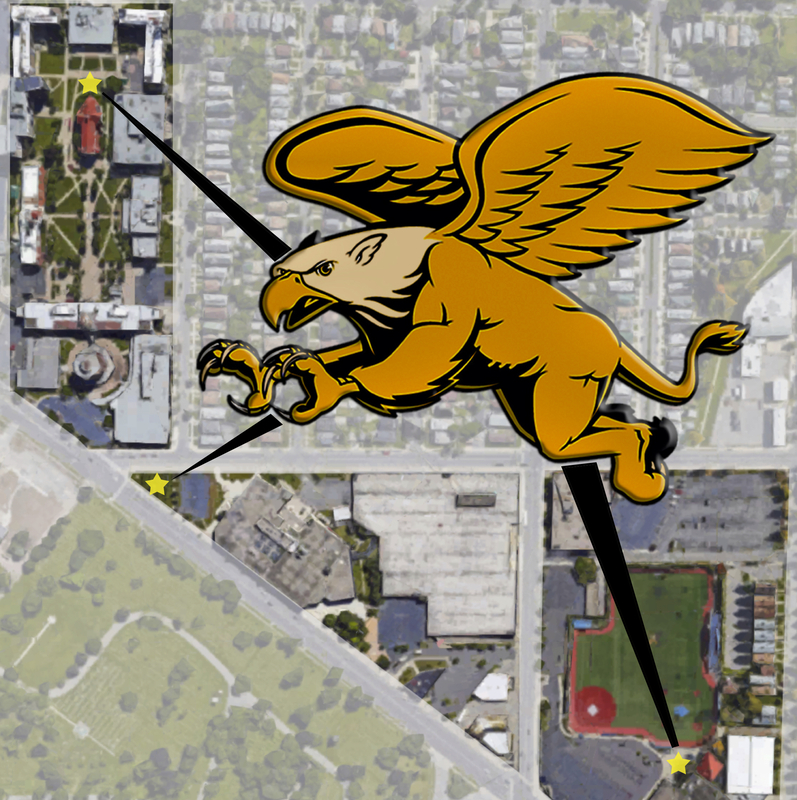 With the precedent clearly set by scholastic institutions around the country, a small contingent of movers and shakers have begun preliminary discussions focusing on pooling together the resources necessary to raise a larger-than-life Golden Griffin on College grounds. It was at this point that Vavonese consulted friend and fellow alumni Ervolina about the idea for a Griffin statue. Building momentum, the two of them approached Director of Special Gifts David Misko and Associate Dean of Students Matt Mulvile about it. Looking to garner strategic support across the college, Mulville brought the idea up to Undergraduate Student Association President Rich Kubiak, who wrestled with the notion at first, initially finding it difficult to perceive the inherent value. Vavonese had found specific inspiration at Missouri Western State University, whose 10-foot wingspan fountain statue captures the iconicism in American collegiate life. The initial sketchings hope to dazzle the Canisius community in this same way, though more attuned to the imagery students are used to – resembling the leaping griffin on athletics logos. The chosen architect, Mark Palmerton from Oklahoma, has experience in school statutes and has promised the lowest cost and fastest delivery time. Based on the momentum behind this initiative it would seem that efficiency is a crucial aspect to the statue’s success. 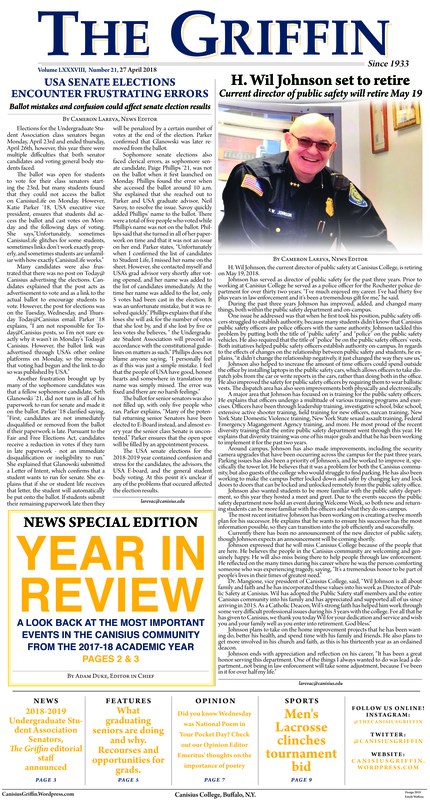 Most importantly to graduating upperclassmen, campus officials want it ready by this year’s commencement. Initial estimates had the statue costing between $120,000 and $150,000. Palmerton’s plan will cost $85,000 for the statue, with another $10,000 coming from delivering it to campus. There are still many other pieces that need to settled before this statue is a done deal. The funding needs to be secured by a USA approval, as to whether that comes just from student money or alumni would contribute a significant amount as well. There are also three potential sites under consideration: in front of the Koessler Athletic Center, in front of Science Hall, and behind the chapel in the quad. Kubiak wants student input on the statue’s location in due time.